No fashion style is as equally loved and hated as 1980’s men’s fashion. Fashion style of this decade was about maximalism. In fact, it can be summarized by loud, gaudy, and bright-colored clothing. It brought an explosion of colorful styles. Every time we see an outfit that is a bit too loud, bright or colorful, we immediately think about the 80s. Subtlety just wasn’t an option during this decade. 1980’s men’s fashion was largely influenced by movies, TV shows, and MTV. Men wanted to look like Michael Jackson while women were inspired by the outfits of Madonna. Thanks to the expansion of cable television as well the increased globalization of the world, fashion became more diverse than ever. If you’re going to an 80s-themed party and you’re looking for wardrobe inspiration, then you came to the right place. In this blog post, we’ll discuss some of the most popular fashion trends of the decade. Keep reading and scroll through the photos. You are sure to find something of interest that will make you stand out from the crowd. Since some of the 80s fashion trends started to come back around a few years ago, you won’t have a hard time finding a good outfit that would best suit your taste. Plus, you can give it a modern spin and make these fashion trends officially cool again. The t-shirt has reached a massive, global opportunity in the 80s. Some of the most iconic superstars, logos, and catchphrases have seen print on a t-shirt. 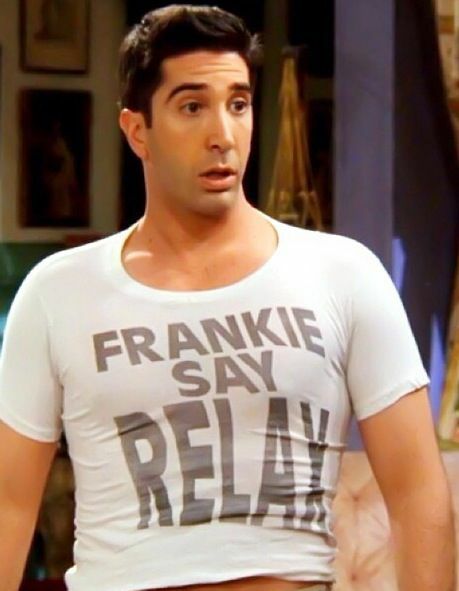 During the decade, it wasn’t unusual to someone wearing Superman, Bob Marley, Teen Wolf or Frankie Says Relax shirts. These shirts became more and more of a fashion staple. They were ubiquitous as the graphic tee rose into prominence. Every other person wore these shirts. Denim clothing continued to be one of the biggest fashion trends in the 80s. In fact, people loved them so much that they even choose to double up on the denim. Not only did they wear denim jeans, they also paired it with jean jackets. The look became popular with both sexes. Jordache became one of the biggest jeans makers during the 80s. In fact, their jeans became a covetable fashion item. Before they came along, the only companies that produced denim pants were Levi’s, Lee, and Wrangler. Jordache paved the way for other jeans makers like Calvin Klein. Activewear dominated 1980s men’s fashion. It became a staple of the modern wardrobe. Sportswear, especially those that supported pro sports teams flew off the shelves for the entire decade. Matching sweatshirts and sweatpants was a popular choice among boys and men alike. 80s activewear was just as vivacious as every other fashion trend of the decade. These outfits were available in bright colors and standout prints. As the style began to characterize the sporty chic of city dwellers and coed campus life, men opted for loose and comfortable fabrics. In most days, they would wear sweatshirts and sweatpants with sneakers. Men still wore coats during the 80s. But compared to the previous eras, they no longer wear coats on a daily basis. In fact, they were reserved for office, formal events and business meetings. Since they were categorized as formal clothing, men’s coats remained conservative. In fact, it is the only piece of clothing that wasn’t drowned in color. During this era, men’s clothing was snug fitting. The same can also be said with their suits. But by mid-80s, tight fitting clothing made way for the sleeves-rolled, wide-shouldered, pastel yachting suits of Don Johnson on Miami Vice. Men’s clothing in the 80s were tight. Although they weren’t skin-tight like the 70s, they were snug fitting. This includes the pants. Skinny jeans became a huge trend. In fact, skinny, acid-washed jeans became one of the biggest trends of 80s. However, changes in 1980s men’s fashion came in too fast. Eventually, the slim, fitted look was overtaken by looser, much more comfortable pieces. 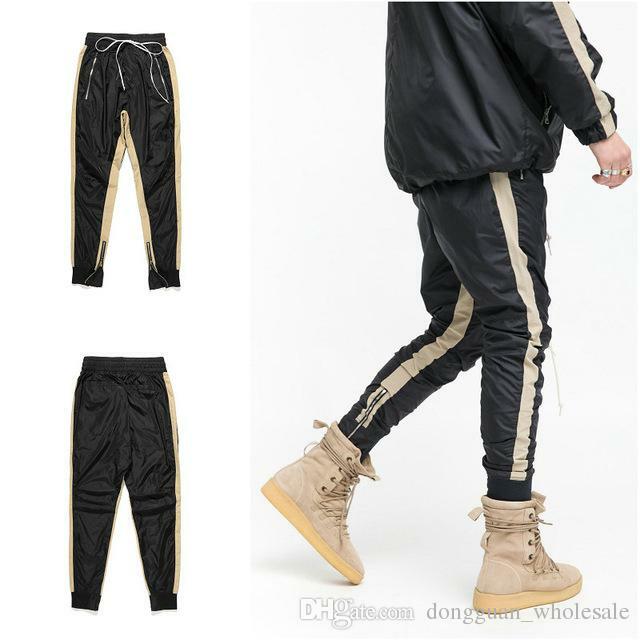 Parachute pants became one of the most fashionable pieces of clothing of the 80s. They are baggy pants that are tapered at the ankle. They were made suitable for hip hop dancing. These pants are made of nylon, which is similar to that of a parachute. Hence, the name parachute pants. The 80s was a big time for sneakers. Reebok Freestyles, Converse Chuck Taylor All Stars, and Nike Jordan Airs were just some of the biggest shoe styles that defined the decade. Named after Michael Jordan, the Air Jordans were the basketball shoe to have in the 80s. It marked the beginning of a new era of sneakers. It also brought confidence to basketball players across the country. The Chuck Taylor’s was a big hit during the 80s. They came in a wide variety of colors and were worn by all. After all, these sneakers are unisex. They look good on both sexes. These shoes became so popular, they’re still kicking today. Majority of the fashion trends of the 80s were unisex. Even the hairstyles were enjoyed by both sexes. In this decade, men wore their hair long. Male ponytails became popular during the 80s thanks to Eric Roberts and Steven Seagal. Eric Roberts managed to look badass in this hairstyle in the martial arts film Best of the Best. Steven Seagal, on the other hand, rocked the style for his whole career. As compared to the previous decades, people were free to show their individuality and express themselves through their clothing. Because of this, they often wore accessories to complete their look. Even men wore accessories. 1980’s men’s fashion was big and loud. Everything was taken to the extremes. That included the accessories. In this decade, men wore necklaces with large pendants and medallions. The fanny packs also became a trend in the ‘80s. Nothing is more representative of 1980’s men’s fashion that these bags. These are simple zippered pouches that are wrapped around the waist. Although a lot of people poked fun at fanny packs, the majority of the adult population got hooked on these sturdy strap-ons. They were touted as the perfect cargo-carrying sack to hold your keys, cell phone, and other belongings. Continuing the fashion trend of the 1960s, 1970s men’s fashion featured clothing in geometric designs and bold prints in bright colors. Fashion was bold and overstated at its best. People found a new interest in clothing and started using them as a form of self expression. This has brought on a mix of eclectic styles that have changed the world of fashion forever. Big hair, big collars, and flared trousers is one way to sum up this eclectic decade. As compared to the previous decades, 1970s men’s fashion is no longer formal and conservative. In fact, men were given the freedom to wear whatever they felt like wearing. Due to a penchant for expression and creativity, fashion in the 70s covered many genre and styles. There has been a significant change in men’s fashion that it was almost unrecognizable from just a decade earlier. The 1970s is one of the most revisited decades when it comes to fashion. We delve into this iconic era to help you achieve a retro look with our definite guide to the 70s style. If you are interested in re-creating 1970s men’s fashion for yourself, then we urge you to read on. In this blog post, we’ll discuss some of the biggest fashion trends of the 70s. This will help you channel the look and get the right style for this era. Together, let’s take a look at what men wore during this decade. After years of fabric rationing, men became bolder in their fashion choices. Men’s wardrobe became more stylish and colorful. Capturing the more fashion-conscious consumers, designers started making floral printed shirts. Surprisingly, people embraced the idea of wearing floral shirts. Yes, those super feminine numbers became a huge trend in the 70s. Floral shirts rose in popularity during this decade and were even worn to work. These shirts are long sleeved, wide collared and buttoned down. With people’s fondness with bright colors and bold prints, the floral shirts eventually became acceptable as formal attire for men. Contrary to popular belief, shirts in the 70s were not all patterned. There were many variations to men’s shirts in the 70s, but the wide collared shirt was the most popular among them. When the people got tired of the hippies fashion, they opted for a sleek, solid-colored shirt, which they can wear in the office, as well as in social gatherings. As the name suggests, the collars are wide. The edges are elongated and then tapered downward to form a “V” shaped pattern. . They are wider than the collars of men’s shirts that are worn today. But as compared to the previous decades, very rarely will you find men wearing tucked in shirts. Originally, denim was designed as men’s work pants. 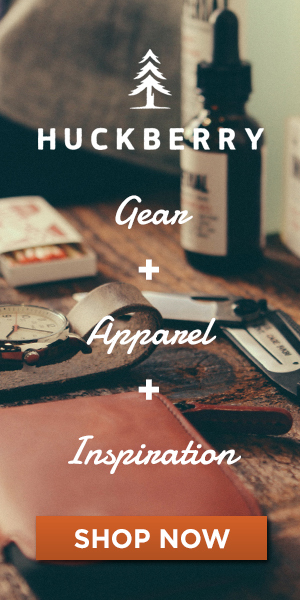 Those who work in farms and ranches wear them because they’re affordable, comfortable, and functional. Jeans weren’t accepted in conventional places in the 60s. But young men started wearing them as a symbol of rebellion, as well as to show their solidarity with the working class. Later in the decade, jeans were popularized and glamorized by Marlon Brando and James Dean. Double denim was the key look of the 1970s. During this time, denim shirts and flared jeans were considered the ultimate casual wear ensemble. They’re easy to wear, versatile, and accessible. Because of this, the denim market completely exploded in the 1970s. Over the years, it progressed to become the most popular casual wear garb in modern society. The 1970s men’s fashion brought forward many looks from the 60s. The flared trousers are one of them. These pants fit normally at the waist and thigh, and then open up under the knee to form a bell; hence, the name. Modern day boot cut jeans can trace its origin from the 1970s fashion. Even though men wore other styles of trousers during the 70s, flares and bell bottoms dominated during this decade. A big theme for 1970s men’s fashion is “the bigger, the better”. True to its theme, the bell bottom pants became so extreme that the leg openings could reach up to 26 inches. Later in the decade, the bell bottom gave way to pants with narrower leg openings. Eventually, men’s clothing became tighter and tighter. Nothing quite says 70s like a disco dance floor. The world fell head-over-heels in love with disco after the Saturday Night Fever hit the cinemas in 1977. Leisure suits became one of the biggest fashion trends of the decade. John Travolta had everyone reaching for their leisure suits and platform shoes. This would have been heartily laughed at just a few years back. In the previous decades, men used to wear suits on a day-to-day basis. In the 70s, however, casual and fashionable clothing became the norm. This was a huge departure from the previous decades. Those who were sick of the hippie fashion flocked to the dance clubs, where they wore glamorous clothing. Men would hit the disco donning a leisure suit, a casual suit that consist of a shirt-like jacket and matching trousers. Often, men wore dress shirts that were tucked in tight, shiny pants. Their shirts were usually unbuttoned to show off some chest hair. Those who don’t have chest hair would complete their look with a big medallions or gold necklaces to cover up their bare chest. In the 70s, grooming and styling was no longer limited to women. There was a wide variety of hairstyles that became popular during this decade – bleached hair, spiked, bouffant, and blow-dried. But the main hairstyle men wore in 1970s was long and flowing. Men started growing their hair. Often, their hair was at least shoulder length. Many of them even paired them with moustaches. It seemed to make the look complete in that day and age. The Beatles were one of the biggest influences of men when it comes to fashion. They went all hippie in the 70s, influencing men to grow their hair. Men wore different types of shoes in the 70s. Cowboy boots, earth shoes, Birkenstocks, and Oxford shoes rose in popularity during this decade. In spite of the rise in popularity of different styles of shoes, the platform shoes were considered as one of the biggest trends in 1970s men’s fashion. In fact, most men were seen wearing them throughout the decade. The 1960s was often referred to as the “Swinging Sixties”. It was noted as one of the most defining eras in men’s fashion. Changes in 1960s men’s fashion were just as drastic as they were for women. During this time, formality was out and casual was in. From the relaxed yet conservative fashion of the 1950s, men’s fashion took on a sharp turn into bolder and more fashionable clothing during this decade. It brought a sense of refinement to men’s styles. 1960s men’s fashion marked the replacement of ill fitted and outdated trends. It was during this decade when men’s clothing underwent a complete transformation. Men’s fashion took a departure from simple, crisp looks of the past decade and embraced a sense of refinement and elegance. It was indeed a revolution of style. To give you a good idea about what men wore in the 60s, we browsed the web. As compared to the previous decades, people preferred a more casual lifestyle in the 60s. Sweaters and turtle necks became so popular because these pieces of clothing allowed them to be neatly dressed while still looking casual. They became an everyday feature in 1960s men’s fashion. Everybody had at least one turtle neck back in the 60s. Turtle necks were the norm for casual wear. They were very flattering on both tall and skinny men. Because of this, men begun pairing this up with almost everything. Often, you’d find men wearing them with vests, under blazers, with jeans or bell bottom trousers. Due to its popularity, manufacturers stared offering them in a variety of fabrics and almost every color imaginable. If fashion of the previous decades were all about formality, as well as dull and boring colors, 1960s men’s fashion is far from it. In fact, it was in this decade when men started wearing clothing in vivid colors and wide prints. The Hippie Movement began in the 60s. It was considered a mark of rebellion, and became incredibly popular among youths. It altered fashion in a manifold way. Clothings were more rugged in nature. It was also the first time in fashion history that men wore t-shirts. Due to the popularity of the hippie shirt, designers started making bright-colored pants, jewelry, headbands, and belts. Men gravitated towards vibrant colors and obnoxious prints such as polka dots, floral, and paisley. The Ivy League clothing was considered desirable mainstream apparel for middle class men in the 50s and 60s. It was said to have originated on college campuses. Many young men adopted the look due to its association with the upper classes. The 35th President of the United States, John F. Kennedy, looked incredible in the Ivy League menswear staples. If there is one thing he could do with aplomb was laidback sophistication. Often, when politicians try to dress down to appeal to the masses, they look awkward and forced. However, the look suited JFK very well. In fact, he became one of the poster boys of the Ivy League look. People found it refreshing to see a political leader looking so effortlessly stylish. Despite being introduced in the 50s, the Ivy League look remained and became a fashion trend until the middle of the 1960s. The Ivy League look still looks on trend today. This only proves that fashion never goes out of style. Despite the popularity of casual clothing, men were still dressing conservatively in the 60s. They dressed formally when the situation demanded, especially in the office, business meetings or formal occasion. In fact, men wore slimmer, tailored suits with a clean, straight cut. It was all about clean, sophisticated lines. The entire ensemble gives a sleek silhouette from head to toe that can make any man look smart and sophisticated. Towards the end of the decade, however, the conservative men’s suit took on a more relaxed styling. It came with bold prints and some geometric designs and flared slacks. Unlike the previous decades, bold colors and loud prints took men by awe. They became more conscious about fashion. Instead of solid-colored suits, they opted for checkered suits with dark vertical and horizontal lines paired with bright-colored ties. Also, men started wearing turtle neck tops in exchange of dress shirts. The bell-bottom became all the rage in the 1960s. It was extremely popular that the trend continued until the end of the decade. These pants flared out from the bottom of the calf. They were often worn skin-tight to the knee and then flared out in a wide, soft drape. Originally, these pants were worn by those who worked on boats. It was a functional design as it makes it easier for them to roll up their pants while washing the decks. Despite the introduction of tailored and sophisticated clothing, younger men didn’t like the idea of buying expensive clothing. As such, they shopped at second hand stores and developed a new fashion trend; hence, the introduction of bell bottom pants. The clothing of this new fashion was extremely casual and inexpensive. Eventually, the bell bottom pants became an everyday fashion item and became extremely popular among younger men. The 1960s marks the period of transition from conservative to liberal. Men’s hairstyles also underwent a huge transformation during the 60s. During the 60s, men were categorized into 2 groups – those who stick with the status quo and those who are rebelling against the conservative clothing rules. The Beatles were one of the fashion idols of the 60s. People have watched them transform from a clean-cut boy band into a paisley-plastered psychedelic rock group. Those who didn’t wish to conform to the strict, conservative clothing rules followed suit. Men started growing their hair as a sign of rebellion. Some would cut their hair short at the back, and then keep it longer in front. Then, they would apply oil or gel on the front pieces and sweep them up and away from the face. 1950s men’s fashion is an era that most men want to draw style inspiration from. Fashion style of this decade is often summarized into 4 CS – casualness, correctness, comfort, and color. When WWII started in 1939, fabric rationing began. During this time, men’s fashion was focused on functionality rather than style. Clothing was very simple. Some changes were made in men’s fashion in an attempt to prevent fabric wastage. But as soon as the war ended, people became more adventurous with their clothing choices. This brought on a significant change in 1950s men’s fashion. By the end of the 1940s, men’s fashion was given a new direction. Designers infused new life into the men’s clothing with their wider color palette, tailoring, textiles, and styling. This was carried over to 1950s men’s fashion. If you are curious to know how men dressed in the 50s, then keep reading. Here, we’ll give you a glimpse into the fashion of the 1950s and together, let’s take a look at the changes that took places in the fashion world throughout the years. Dress shirts of the 50s came in a variety of colors and materials. With the end of the fabric ration, designers were free to experiment with fabrics, styles, and colors. Unlike the dress shirts of the previous decade, men’s 50s dress shirts were made of more comfortable, breathable fabric. Also, collars were no longer starched. They were still considered as the shirts of choice for formal wear, but they were no longer as stiff and constricting as the ones they previously wore. Men’s shirts in the 50s were no longer limited to formal dress shirts. In fact, men were given several classic styles to choose from for their day-to-day outfits. Although men were still expected to wear button down dress shirts in the office and in formal occasions, they have the option to wear more casual shirts like polo shirts, bowling shirts, plaid, classic white shirts or the Hawaiian shirts. These shirts are still seen in our current, everyday fashion. The classic white shirts were first introduced in the 1940s as an undergarment. These shirts were worn under a sports shirt. But a 1951 movie entitled “A Streetcar Named Desire”, which stars Marlo Brandon gave the classic white shirt a public debut. Due to the success of the movie, young men started wearing the white shirt in public. Although this was frowned upon by the older, more conservative men, younger men embraced the white shirt because of how comfortable it is. Many of them also opted for tight-fitting shirts as it gave them a chance to show off their muscular physique. On casual days, you’d often see men wearing a white shirt paired with denim jeans. This was one of the biggest trends of the 50s. Since then, men were rarely seen wearing trousers, unless they were on a business meeting or on a formal occasion. 1950s men’s suits are a classic in the world of men’s fashion. During this era, suits were loose and plain in shape. But what sets it apart from the suits of the previous era is that they were made from textured fabrics like curdoroy, flannel, tweed, and wool. They also used fabrics with patterns such as plaid and checks. During the latter half of the decade, suits became more fitted. In fact, suits became slimmer, narrower, and more fitted. Colors, at first, were conservative. Gray and black were the universal colors. Others would wear clothing in shades of blue or brown on some occasions. But halfway through the decade, men’s clothing embraced the 4 Cs – casualness, correctness, comfort, and color. When the political unease subsided by the mid 50s, men embraced colors, patterns, and textures. Hence, the rise in popularity of sports coat. During the 1940s, vests were no longer used as it was seen as an unnecessary luxury. Hence, the 3-piece suit became the 2-pc suit. During the 1950s, however, the vest became popular once again. Men would wear vests by itself or under a suit or sports coat. It has been one of the most popular pieces of clothing due to its versatility. Some businessmen would wear a vest or a sweater when they weren’t wearing a suit. They wear a vest over their dress shirt with a tie. This was considered as the casual business look. 1950s men’s pants featured a high waist up to the belly button with a sharp center crease. They were looser as compared to the pants we know of today. But by the end of the decade, they were moving towards that direction. Just like the suits, pants were made from textured fabrics such as nubby wool, tweed, curdoroy, and flannel. Brushed cotton and linen were also trendy during the 50s. Pants in the 50s usually came in solid colors. Popular colors for formal pants include tan, gray, chocolate brown, and blue. For more casual occasions, men opt for lighter and more vibrant colors like rust, light blue, maroon, teal, and teal. As compared to the previous eras, 1950s men’s fashion was more relaxed. In fact, there was some flexibility with casual wear. It was during this decade when denim jeans were introduced. Back then, denim jeans were high-waisted, wide-legged, and cuffs rolled. The pants were really simple. Popular hats of the 40s like the Fedora hat returns in the 50s. These hats, however, came with simpler, more refined style. Unlike the previous decades, hats were no longer considered as a key aspect of men’s fashion. But men like Frank Sinatra kept the Fedora hat alive a little longer. His brim fedora made a lasting impression on the hat industry. Unfortunately, this old hat style went out of fashion by the end of the 1950s. In fact, this has been the last decade that men wore hats in their everyday style. The Great Depression of 1929 had a huge effect, not only on the economy, but also in 1930s men’s fashion. Fashion took a backseat during this decade due to the lack of financial stability. The lack of money showed up in their everyday fashion. People can no longer afford tailored clothing. This is the era where ready-to-wear clothing was introduced. As compared to the Roaring Twenties, fashion sense during this decade showcased a more relaxed silhouette, less formal and less extravagant clothing. Despite the economic hardships, many young, dapper men didn’t let their personal style go away. In fact, this particular era brought on some of the most dramatic changes in men’s fashion. 1930s was the era of men’s classic clothing. Those who couldn’t afford to dress elegantly observed the style choices of those who can afford to partake in the fashion world. Once they bounced back from the Great Depression, people became more inspired to express themselves through their clothing. This gave rise to the classic attire like tuxedos, full-cut trousers, and double-breasted suits, which are still popular with in today’s men’s fashion. If you’re intrigued by the 1930s men’s fashion and you’re looking to put together a 1930s-inspired ensemble for a themed event you’ll be attending in the coming weeks, then we urge you to read on. In this blog post, we’ll give you glimpse into the 1930s men’s fashion and teach you exactly how they dressed during this era. Dress shirts in the 30s are actually very similar with what we have today. Clean, pressed, button-down shirts were a staple in 1930s men’s fashion. The style was fashionable, but less formal than the style that was favored during the last decade. It was during this decade when polo shirts were introduced. Men wanted more comfortable pieces of clothing, and actually liked the idea of wearing a top made of soft fabric. While more casual than dress shirts, younger men find it appealing. The polo shirt quickly rose into popularity and they haven’t left the fashion world since then. Blue collar workers wore casual, simple pieces of clothing during their workdays. Most housewives would spend their free time knitting sweaters for their husbands. Eventually, sweaters were no longer seen as the clothing of the lower class. By the mid-1930s, young men were seen wearing knitted double-breasted sweaters and it actually became a trendy piece. People saw it as a refined fashion element. 1930s trousers came in navy blue, brown, and gray. During this time, pants in dark colors were deemed more acceptable. Trousers in vibrant colors, however, were seen to be in bad taste. Later on, men wore patterned pants such as stripes, windowpane, tweed, check, and plaid. Patterned pants became acceptable for both casual and business wear. During the Roaring Twenties, men wore wide leg trousers. In the 30s, however, men’s trousers were wide at the hip and tapered down the legs. The pants were high-waisted to add to the illusion of having broad shoulders and a small waist. It was during the 30s when men started wearing full-cut trousers. During this decade, the athletic body seen in boxers and superheroes like Captain America and Superman became the ideal men’s shape. They realized that clothes are meant to enhance the male physique rather than hide the natural lines of the body. Because of this, everything about the 1930s suit is wide – wide, elongated lapels and broad shoulder. This is done to create the illusion of a larger torso. A lot of men even wore shoulder pads to make their shoulders look broader than they really are. The waist, however, is pinched to create the illusion of a smaller waist. During the early 30s, suits in solid colors were the norm. Later on, suits with distinctive patterns such as stripes, checks, and plaids became a hit. While men of the 30s were known to be fashionable, many of them don’t seem to be bothered by the idea of wearing mismatched suits and pants. In fact, a dark jacket over light-colored pants has been a trademark of 1930s men’s fashion. Several other suits came to the forefront in the latter parts of the decade. For instance, the double-breasted suit made its mark during this period. Thanks to its distinguishing characteristics, it quickly became everyone’s favorite – from Hollywood elite to royalty. This is not surprising considering that this type of suit embodied both elegance and authority. 1930s ensemble wouldn’t be complete without a hat. Boater, bowler, Homburg, Fedora, and walker are some of the most popular men’s hats of the 30s. The straw boater hat is one of those hats that were carried over from the 20s. This hat was worn during the summer as well as in sporting events. However, it diminished in popularity by the end of the decade. The Fedora is one of the most popular hats of the decade. They are available in solid, dark colors and are often see in Hollywood movies, worn by gangsters and handsome detectives. Homburg is slightly more formal than the Fedora. This is the hat preferred by most gangsters. The 1930s was a wild and colorful time in men’s neck ties. During this era, bow ties and scarf ties were no longer used. Men’s neckwear was only limited to silk ties. Silk ties came in a variety of colors and styles. Often, you’ll find neck ties embellished with multiple colors of pin dots, large dots, check, plaids, and horizontal stripes. During the early years, blues, peach, yellow, and earthy greens were acceptable. During the later years, however, neck ties in vibrant colors were preferred. 1930s men’s fashion was extremely conservative during the early parts of the decade due to the great depression. Fortunately, they were able to recover, which led to less restricted ideas in men’s fashion. In the later years of the decade, they welcomed a return to a more stable economy, which allowed more freedom of expression in men’s fashion. 1920s was the life of glam and luxury. The fashion of the era reflected the people’s liberated minds and luxurious lifestyles. 1920s men’s fashion can be summed up as men wearing dark suits or tuxedos with silver cigarette cases, walking sticks, and black or white fedora hats. Although many decades have passed, almost everyone still recognizes the style. In fact, it has influenced present day fashion more than any other era. Up until today, men wear suits in the corporate setting as well as in formal events. The dark suits worn during the era don’t look too different form the modern suits. If you want an excellent reference to 1920s men’s fashion, you should watch Boardwalk Empire. The historical accuracy brings the show back to life. The wardrobe designer produced several pieces of suits using fabrics recreated from the 1920s garments and even used patterns from the era. Let’s take a closer look at 1920s men’s fashion. White dress shirts were the norm during early 1920s. They wear them with suits and ties. To make their look more classy and formal, dress shirts and collars were starched stiff. Young men, college students, and the working class, on the other hand, wore casual, long-sleeved shirts. During the World War I, men were issued soft shirts with detachable collars. Eventually, they became used to the ease and comfort of the soft shirts and decided that they wanted to do away with the plain and rigid outfits. They abandoned the highly formal attire and began wearing more comfortable clothes instead. The conservative men wanted to keep the stiff collar in 1920s men’s fashion. The formal look remained until the end of the decade, but their clothing became more relaxed than before. The 1920s is the era when men’s dress shirts saw an explosion of color. Solid colored dress shirts became acceptable. White collar workers, however, preferred lighter colors such as whites and nudes for formal suits. This was regarded as a sign of financial status. Blue collar workers, on the other hand, opted for darker colors so the shirts won’t easily get stained or dirty. Later on, the striped shirts were introduced. The trend continued towards the late 20s. Although more casual styles began appearing, formality still ruled in 1920s men’s fashion. The suit plays an essential role in 1920s men’s fashion. Black or midnight blue suits were the preferred dress for almost every occasion. It is the one item of clothing men wore on almost a daily basis. They wore 3-piece suits in parties, dinners, business calls and in the office. Since they wear them on a daily basis, the upperclassmen own a closet full of suits. They wore the best suit they can afford. Many of them were tailored and handcrafted to the owner. Others even order suits by the dozens. They have suits of every color, style, and material. The only ones who don’t wear a suit were college men, teenagers, athletes, and blue collar workers. Manual labor was very hard, so it wouldn’t be practical for them to wear suits. They wear sturdy denims and canvas overalls at work. Although they dress more casually, each of them own a suit. They wear them to church on Sundays, and do so with pride. Since wool and dark-colored suits are too hot to wear in summer, men turned to linen suits or light flannel seersucker during the warmer weather. They also started wearing loose, patterned coats by the mid-20s. 1920s men’s fashion was a whirlwind of fashion trends. It marks the decade of crazy pants. At the beginning of the decade, suit pants were plain-colored and slim. They were fit high on the waist, and the waist bands were held up with button suspenders. By the mid-20s, men opted for looser, more relaxed clothing. Wide leg pants have been a fashion staple. Knickerbockers are another type of pants that became popular during this decade. They are baggy trousers that fit low on the waist and whose legs are gathered just below the knee. The ends are constrained, giving it a ballooned appearance. It was the popular sportswear for wealthy gentlemen. However, the trend was replaced as quickly as it came in. Knickers gave way to the wide-legged oxford bags. Oxford bags are loosely fitted pants. They feature extremely wide legs that measure between 22 to 40 inches wide. The style supposedly originated when the knickers where banned from the classrooms in Ivy League schools. The oxford bags stuck around for the rest of the 20s. Over the span of just 10 years, men’s pants grew from skinny jazz trousers to wide-leg to oversized Oxford bags. The top hat was first worn by the haberdasher John Hetherington in 1797, but it was only during the 1850s when the top hat really took off. It became the fashion rage when Prince Albert wore it in public. After this, it became an everyday hat. Men started wearing it regularly. During the late 20s, casual hats rose into popularity. Panamas, straw boater hat, and the 8 panel newsboy cap became popular with men. Every occasion called for a hat to match their outfit. They even wear different hats for different seasons. Longhorns, panamas, straw boaters, and linen flat caps are the best choices for warm summers. Men wore conservative clothing in the winter, and completed their looks with fedoras, derbies, and bowlers. Since then, they only wore the top hat in formal occasions like dances, weddings, political gatherings, and when doing business. It became the hat for formal wear for another 50 years. Men didn’t wear jewelries in the Roaring 20s, but they tried to incorporate some accessories to add dimension to their look. Suspenders, knit ties, as well as walking sticks earned popularity. The twenties men also donned bow ties and were paired with pocket squares. Colorful ties with wide stripes and small patterns were also common in the 1920s. The pocket square doesn’t always have to match the necktie or bow tie, but make sure that it coordinates with at least one color in it.